Start off your visit on the 16th (Sat): see some colorful creatures with a scuba or snorkeling tour. To find traveler tips, where to stay, and other tourist information, read Cairns visit planner. New Delhi, India to Cairns is an approximately 14.5-hour flight. The time zone difference when traveling from New Delhi to Cairns is 4 hours. Traveling from New Delhi in March, Cairns is somewhat warmer at night with lows of 27°C. Cap off your sightseeing on the 16th (Sat) early enough to go by car to Port Douglas. Start off your visit on the 17th (Sun): get a new perspective on things with Boat Tours & Water Sports. To see photos, where to stay, and tourist information, read Port Douglas trip planner . You can drive from Cairns to Port Douglas in 1.5 hours. Alternatively, you can take a bus; or take a shuttle. In March, daily temperatures in Port Douglas can reach 36°C, while at night they dip to 27°C. 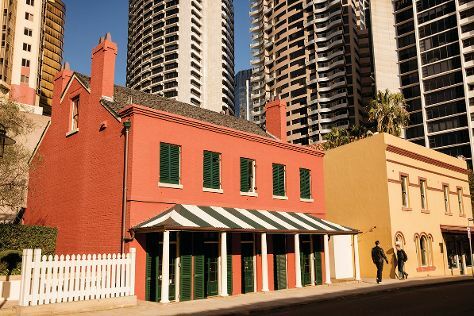 Wrap up your sightseeing on the 17th (Sun) to allow time to travel to Brisbane. Start off your visit on the 18th (Mon): look for all kinds of wild species at Lone Pine Koala Sanctuary and then kick back and relax at Dicky Beach. To find maps, where to stay, photos, and tourist information, you can read our Brisbane trip planning website . Getting from Port Douglas to Brisbane by combination of shuttle and flight takes about 6 hours. Other options: do a combination of shuttle, flight, and bus; or drive. Traveling from Port Douglas in March, things will get little chillier in Brisbane: highs are around 32°C and lows about 23°C. Finish your sightseeing early on the 18th (Mon) to allow enough time to travel to Leura. Leura is a suburb in the City of Blue Mountains local government area that is located west of the Sydney central business district in New South Wales, Australia. 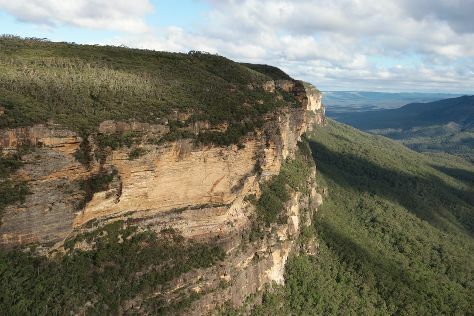 On the 19th (Tue), admire the masterpieces at Norman Lindsay Gallery & Museum, admire the sheer force of Wentworth Falls, then get to know the fascinating history of The National Pass, then admire the sheer force of Bridal Veil Falls, and finally take a peaceful walk through Coachwood Glen Nature Trail. To see photos, maps, other places to visit, and more tourist information, read Leura trip maker site . Traveling by combination of flight and train from Brisbane to Leura takes 6 hours. Alternatively, you can do a combination of train and flight; or drive. Traveling from Brisbane in March, expect little chillier with lows of 19°C in Leura. Finish your sightseeing early on the 19th (Tue) so you can drive to Sydney. Kick off your visit on the 20th (Wed): take a stroll through The Rocks, admire the landmark architecture of Sydney Opera House, then stroll through The Opera House to the Botanic Gardens Walk, and finally tour the pleasant surroundings at Bondi Beach. For traveler tips, where to stay, ratings, and tourist information, you can read our Sydney trip planner . Traveling by car from Leura to Sydney takes 1.5 hours. Alternatively, you can take a train; or do a combination of train and bus. In March in Sydney, expect temperatures between 30°C during the day and 22°C at night. On the 21st (Thu), wrap the sightseeing up by early afternoon so you can travel back home.